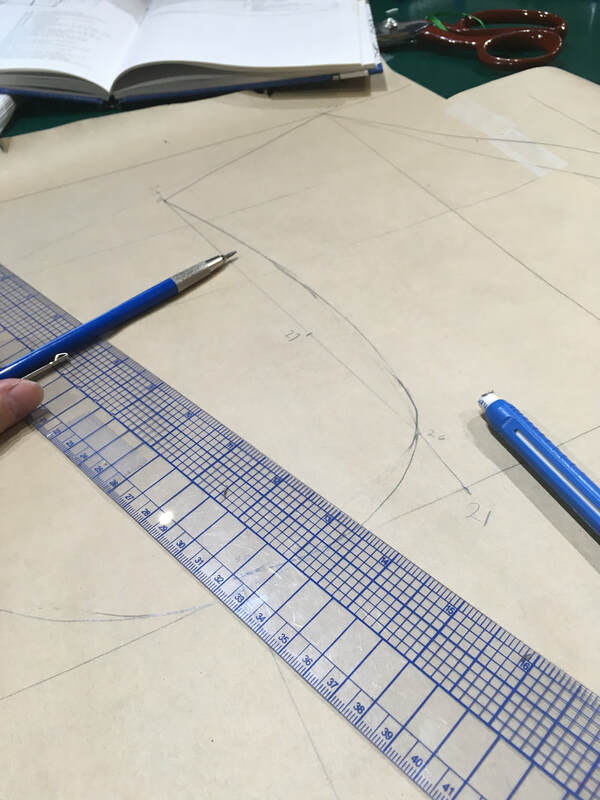 Do you enjoy sewing but don't have a knack for drafting patterns, or do you struggle to find a pattern that is in the style you're looking for, and the correct fit? Well, look no farther, we can draft you the pattern you are looking for. The personalized pattern will be drafted and fitted to your specification and body. With everything, from grain lines, marking points and seem allowance, marked and color-coded. The pattern does not include written instructions although we do have general assembly instructions for trousers and waistcoats. Pattern instructions can be put together for an additional fee. Or else, if you were local to Winnipeg, private sewing lessons can be arranged. So if you have a sketch of what you want, or even a mood board, we can work with you and make your pattern... and you can have the fun of putting it together!